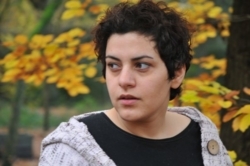 Kiana Firouz, an Iranian Lesbian, born in 1983 in Tehran-Iran, supported and advocated for the homosexual movement in Iran without considering the dangers that accompanied such a cause. To create awareness she took to making a documentary that showcased the lives of homosexuals in Iran. Unfortunately, some of the documentaries footage fell into the hands of the Iranian Intelligence Services who in turn placed her under surveillance. Unsure of her security in Iran, Firouz managed to leave the country for the UK where she would be able to continue her work and also study. Kiana Firouz has sought asylum in the U.K but her application was turned down by the Home Office, despite accepting the fact that she is a lesbian. She accordingly submitted her appeal which was dismissed incredibly by the adjudicator. According to her solicitor’s point of view there is a little chance to grant a permission to appeal against the adjudicator’s decision. It means that she will face with deportation soon. Kiana Firouz still remains in the UK, however her case has been denied by the Home Office. She, nonetheless, is receiving support regarding her situation. She also continues to advocate for the rights of homosexuals in Iran by participating in documentaries. Recently Firouz acted in a documentary about her life and the struggles she faced in Iran. She asked all Iranian queer supporters to help her. "I have recently played a role in a feature film called “Cul de Sac” which is mainly based on my real life story. The movie is scheduled to be screened in May 2010. The trailer of the movie had been published on You Tube since December 2009. It was watched by more than ten thousand viewers just in the first four days. The film’ news was covered by the international Media world wide specifically by the opposition those are under severe surveillance of the Iranian authority. The movie contains sexual scenes which itself would be subject to death punishment if I return to Iran. Now, the only hope remains for me is LGBT’s supporters."